At least 10,000 indigent children in Ekiti State will be provided Christmas dress made from ankara and other materials during the yuletide season. The State Governor, Chief Ayodele Fayose, disclosed this during a meeting with tailors in Ado-Ekiti. In a press release by his Chief Press Secretary, Mr Idowu Adelusi, on Friday, the sewing and distribution of the clothes would take place in designated centres across the 16 local government areas of the state. Moreover, the governor said he would buy 100 sewing machines to complement those to be used by volunteer tailors during the exercise. The 100 sewing machines would later be given out to tailors through a transparent balloting process. “When we were young, we always looked forward to the Christmas and New Year festivities that at least our parents would buy clothes for us. But with the prevailing economic situation in the country, some parents may not be able to do that and we felt we can help to bridge such gap. ” The exercise is part of our Stomach Infrastructure Programme and we have to take care of the needs or our people and make them happy. Also, it is a kind of financial empowerment for our people as we are buying all the materials here. We are also going to give the volunteer tailors some stipends during the exercise. “At the end of the exercise, some of the tailors will go home with sewing machines. In Ado-Ekiti, we are projecting to have five centres and maybe two in Ikere and one each in other local government areas,” he said. Fayose said only children between the ages of one to 10 would benefit from the exercise and that it would be first come first served. On the style to be sewn, the governor said it would be buba and sokoto for males and gowns for females. The Patron of tailors in Ado-Ekiti, Mrs Omodele Famuyibo, lauded the governor for the initiative. “This has not happened in our state before and it shows the kindheartedness of our governor. Truly, with the economic crunch in the country, many parents are incapable of buying clothes for their children during the Yuletide season and this is a helping hand from the governor. May God bless our governor and take him to higher heights,” she said. 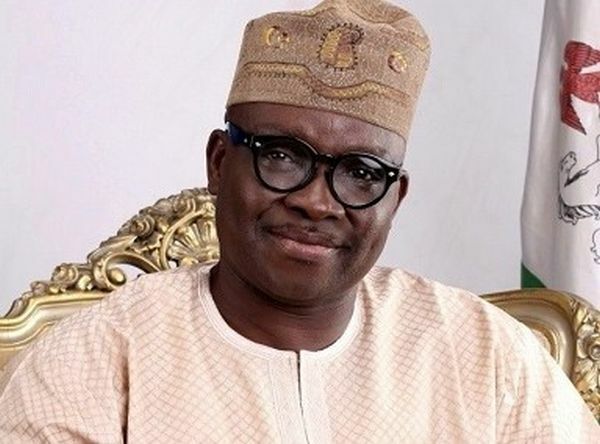 Speaking in the same vein, Mr Aderemi Jimoh, the Chairman of the Tailors Association, commended Governor Fayose. “He is not only helping the children, he is empowering and helping is too. How many people come to sew clothes nowadays? We are happy that we won’t just sit down idle during the festive period as we will have work to do too,” he noted. At least, 250 tailors are expected to be part of the exercise which would start mid December.